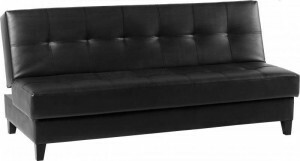 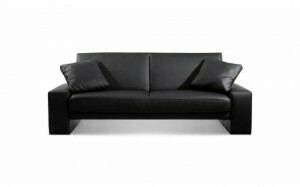 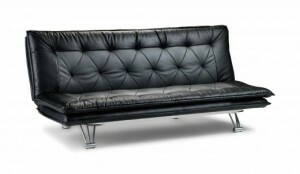 The Elan Sofa bed is upholstered in black and grey two tone soft touch faux leather. 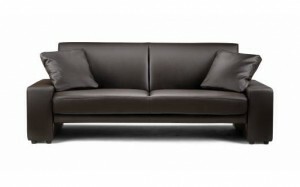 The pinch pleated top pad offers great comfort in the closed sitting position and a full length sleeping space when opened up. 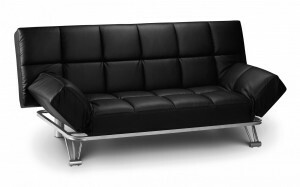 The back can be adjusted to two positions for sitting and combined with the brushed metal legs make this a great style statement and practical design. Faux leather upholstered sofabed with simple to use, 3 position mechanism (Upright, Recline and Sleep). 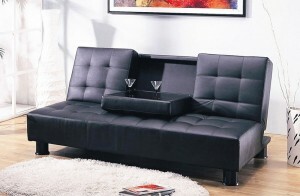 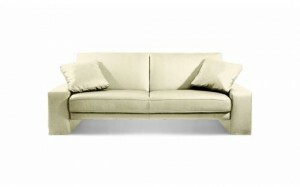 Comes complete with 2 matching faux leather scatter cushions.